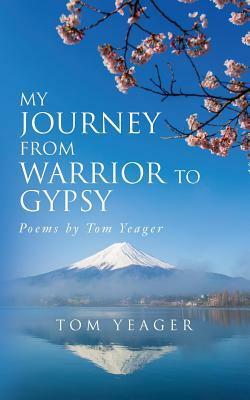 “My Journey from Warrior to Gypsy” is a collection of poems written by Tom Yeager. This book is his story of going into the unknown and discovering more of the world and of himself. He is able to laugh at how life ” sometimes hands us chicken and sometimes hands us feathers.” Tom captures the humor, warmth, and wisdom of a heart opening. My Journey From Warrior to Gypsy is a poetry collection centered around four main topics: love and romance, riding and jumping horses, travel, and facing adversity. Why was this an important collection for you to write? I wanted to share my journey of personal growth and my love of riding horses, traveling, and learning how to find a greater connection with other people. Each of us has our mountains to climb and I wanted to share some of mine with others. In between many of the poems are half-page full-color photographs to illustrate the work. What decisions went into deciding on the images to place in the book? Most of the photographs were taken when I was traveling. I thought the pictures added to sharing of my experiences. Giving Thanks at Gull Lake was one of the poems that resonated with me. What was your favorite poem in the collection? Are you working on another collection of poems? Or another writing project? If so, when will it be available? I just finished writing about my riding safari in Tanzania titled “Dreams Coming True in Tanzania” and it will be in my next book. 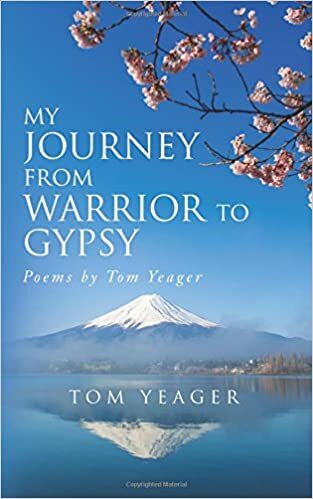 My Journey From Warrior to Gypsy, by Tom Yeager, is a poetry collection centered around four main topics that relate to the author’s life: love and romance, riding and jumping horses, travel, and facing adversity. The 41 poems are split among these sections, and in between many of them are half-page, full-color photographs to illustrate the work, each bearing a quote from one of the poems. In general, the collection is written in a modern style with elements of free-form, with occasional uses of a rhyme scheme as well. The dedication hints at a fascinating journey of personal growth, from outcast, to horse-lover, to one who is seeking greater connection with other people. However, the poetry straddles a line between theme and personal remembrance. I thought Horses and Friends resembled an anecdote containing bewildering detail about the menu, but not much for a reader to empathize with. Reflections On India could easily be a travel itinerary followed by an abrupt quote. However, one of poems I truly enjoyed in the collection is Giving Thanks at Gull Lake. It was one of the poems that resonated with me as it had a selfless purpose which I could relate to. The later Gull Lake and Gibran, on the other hand, begins with an inviting description to set the scene, but becomes a list of food and drink, ending with a quote. I believe the aim of poetry is to express emotions and ideas over factual information and when the author frees himself from these literal shackles he creates some pleasant poetry. Fearless Daughter and Letting Go cover similar ground, but the best part that they have in common is a greater use of figurative language. The imagery that comes into play in Natural Knowing adds emotional depth and interest, inviting more than a cursory reading. Ultimately, this is a collection full of touching personal poetry.